"Hostile? You misunderstand me, Ranger." The monk shook her head. Of course, with her gruff biology, most things probably sounded hostile. "It's this simple; if we do nothing, then we are sitting here like the scum that inhabit this dungeon, waiting to be picked off. It does is no good not to cast somebody out, because right now we have no other way of discovering and disposing of the evil amongst us." Looking about, she frowns at the MetaKnight. "So you wish us to not only allow these actions to continue but also to stay out so we can not learn more in hopes of sniffing out the enemy beside us?" Reginald the Metaknight scoffs at MP. I thought you were an expert at this kind of thing, MP. I may need to reevaluate that opinion if you feel we need powers to weed out our villains. Honestly, this is simple game logic, we know very little right now, killing someone randomly with a high percentage of failure is a bad idea, and so is pushing for additional powers when we have no idea what those powers may be. It is true we could gain a further advantage, but it's just as easy to lose the one we have. Honestly, you you ask me, you seem far more suspicious if you're really suggesting we double up our kill rate while pushing deeper. I should add though, I don't think the chance of a good kill is great today, but you are right that the good guys aren't going to win through pacifism. If someone can give me a good argument for why I should target someone (outside of role playing reasons), I would be willing to change my vote. I just don't want to vote blind with at least a 75% chance of failure. Xavier raises an eyebrow at the Goblin, "Javi? What in Seven Hells is a Javi?" As the Goblin spoke, Xavier tuned it mostly out until it finished speaking. When it finished, he spoke up, "How about this? I make you a counter-deal: You will not be voted to be removed from the group by me....but you don't pester me to vote that you get the slagging ring? I will even say no one gets that thing. Compromise, little Goblin. That's what Dwarves do." I think ((Nobody)) Should have the Ring! I am still VOTING to EXPLORE THE DUNGEON! Xavier watches the rest of the group bicker before speaking up again, "Look, we explore further! It is a risk that one of us shall die in the night, but I am not one weaken our number because we know nothing! I say we take a chance and continue forth!" The tiefling practically purrs at the ranger, "You are so right, I am just being friendly. We should all be friendly, I agree. But...someone will die tonight! If we do not agree that one of us is acting very suspicious, then how are we to decide? Everyone will be on their best behavior...how can we tell if anyone is trustworthy if not by their words and actions?" Tisha casts a suspicious glance at Xavier. "And now we have someone making a deal with a goblin? I find that exceedingly suspicious!! And now he says no one should be cast out? Could it be he is making deals to divert attention so we continue to explore and take the chance that one more of us will die? I am not sure, he may be trying to get attention away from one of his colleagues? My vote on Trump goblin stands. I still think he is the most likely. In spite of how cute his hair is dancing around like that. I think he is trying too hard to get that ring!! He is nervous and trying to make deals! Look at how he is frantically trying to get everyone to be friendly to him! The Tiefling smiles at the ranger and beckons to the Meta Knight. "I think we should stand together and discuss the antics of the goblin. Don't you agree he is acting suspicious?" her sensuous tail waves at the Knight. Xavier looks at the Tiefling, "Perhaps I am making a deal with the Goblin, but at least my deal means that it gains no power granted from the ring AND prevents us from just killing off one of our own! I am taking no chances with our number unless everyone agrees with it. If you feel that a blind volley of arrows in the dark is the best decision, then so be it. I am not a stupid Dwarf. I would rather take my chances with the beasts below than take a chance that one of us will fall because of our own idiocy!" After a huff, Xavier calms down, "However, I agree that this Goblin is trying much too hard for the ring. It either means it is a foe or a coward only out for its own skin or both. I trust it as much as I would trust sticking my head into a dragon's maw." "Need? No, but I think sitting around as our numbers dwindle is pointless." Talia shook her head, "I stand by votes. As you say, pacifism gets us no where when we have none of the cards." Sitting around dying wasn't going to solve their little traitor problem. "You seem awfully gung-ho about wanting to off someone...." Mintiliciousness indicated toward Talia. "Killing innocents doesn't help us either and the odds are not in our favor to do otherwise." I just realized something; since Yugi was "true neutral", was he a/the third party? What was the win condition for True Neutral? Can we know since he's been revealed? How do you know he was True Neutral? Like a sullen wench and a goblin-looking one at that, Trump burrowed his shoulders into him like a tortoise and slowly made his way away from the group. That once active mane now found its passion deteriorated in light of current events and splayed across one half of his head like a scorched savannah recently in the path of a lazy wildfire. With distrust in his voice, he continues; “I am a goblin. I find shinies and that's my goal. With me in your party you stand to gain a lot more loot than without me, come on. Give me the ring. If I have the ring, they can't kill me, if they can't kill me, I stay and get you more loot. Loot that even a... a non-human such as yourself can use, dwarf. Or you, orc... you gorgeous, powerful, strong... creature, you!" His eyes found the she-orc’s and once more slumped shoulders sprouted out like a llama on caffeine and he pointed at her. “Look at this creature, she’s a magnificent creature. This creature can squeeze the life out of me in seconds but she is supporting me. Everybody’s supporting me because they love me. Come on, vote for me. Let’s give me the ring. When I say goblin, you say ‘Trump!’ Goblin…?” And whilst he waited, he found his name repeated a thousand times over at the back of his head, irrespective of whether or not it transpired within these nefarious halls of one still unexplored dungeon. So what happens when a day ends without 7 votes? The person with majority bites it? Wooooakay then, I just got my answer. Unless someone gets 7 votes, no one dies. That has me worried, especially if the group gets split on some people, and even moreso with that ring floating around. That thing just went from kinda dangerous to something way dangerous in my book. I am REMOVING MY VOTE, in the interest of not letting nobody get picked early before we can have more discussion. I thought majority would win at the end of a day at first. Suddenly, acting in unison became a lot more important to me. When a player flips I will label them as either Adventurer, Infiltrator, or Third Party. The Adventurers are the "Town" or good guys, the Infiltrators are the "Scum/Mafia" or bad guys. Any third parties are on their own and have unique win conditions. You will not learn what they were if they die before achieving them. The alignment (such as Lawful Good, Chaotic Evil, etc) that everyone has is a part of their role. Whether it is significant or not is up to the players to determine. Also, if you want me to answer a question, please PM it to me. For various reasons I will not be responding to questions posed in this thread, and will assume that those are meant for the players to discuss with each other. Tisha laughs at the goblin. "You can still be eliminated! Just one more vote. Keep talking 'Hair guy' if you keep begging for that ring it makes you look nervous and desperate!" snerks. Wandering over to the Meta Knight, Tisha purrs into his ear. You really want to get rid of that thief, don't you? We have to stand together and get rid of the one who is making the most noise about wanting that ring. He thinks it will save him!" "The Tiefling has a fair point, Goblin. The more you beg for that ring, the more suspicious you become. Only those who are in it for themselves fear the lack of such powers. Those kinds are murderers, thieves, or cowards. Now, which are you?" Xavier nods politely at the Tiefling, "I may have underestimated you, Miss. I have had rough run-ins with your kind in the past, so I must apologize for my gruff demeanor towards you." The pretty green hair dwarf went back to swirling and whirling. "I've cast my votes! I've given my voice! I have no plans to change. So until you all figure out what we're doing next, I'm going to dance and swirl and spin my hair around and have some fun. Talking gets boring. Killing people is more boring. Especially people we don't know. All I know is that I'm here to have fun and the rest of you are dragging that down. Well except the bag carrier. He's lots of fun. And Mr. Trump makes me laugh and snicker, so please keep speaking Mr. Trump. I enjoy how much it irritates the Tiefling, and makes her think flirting will suddenly have all the male creatures dropping their pants and voting her way." She laughed and spun again, eyes looking up at the ceiling. 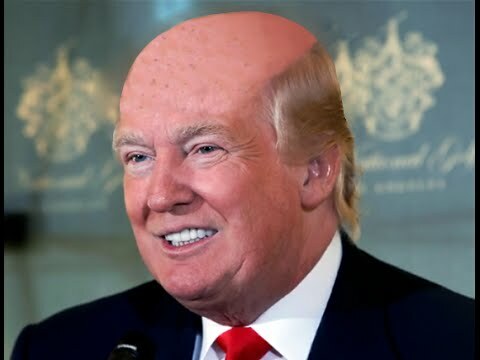 "Oh, and I do also like your hair, Mr. Trump. It's lovely like that. Not as lovely as mine, because my hair is long and beautiful, but you have style." The tiefling's eyes settle on the dwarf and she grins. 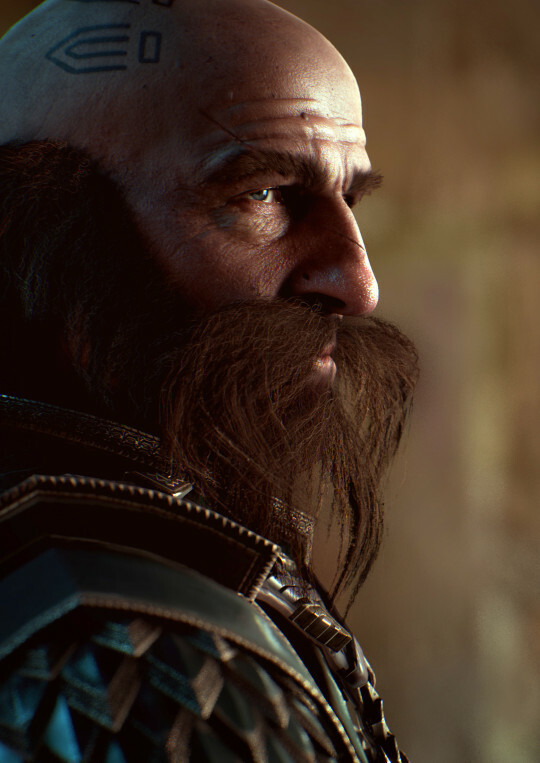 "I accept your apology, gruff dwarf. You cannot help but be what you are. As I cannot help be what I am. Not all dwarves are alike..." she gives a slight frown at the greenhaired one who cannot seem to stop spinning around. 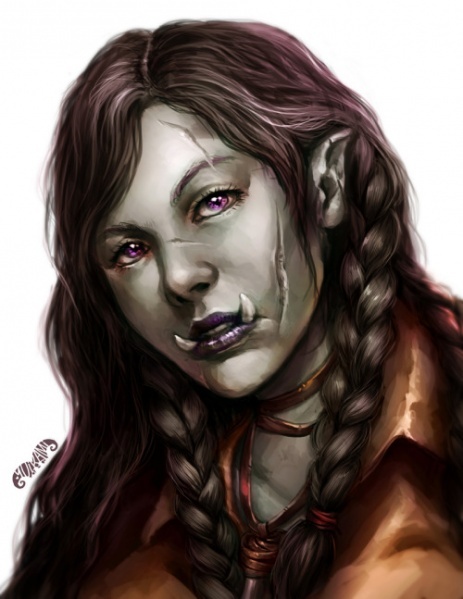 "All Tieflings are not alike either. I do not make judgments on race, but behavior does count. Empty headed partying when we are facing the likelihood of another murder is highly inappropriate. I am not here to have fun, but to gather riches and make new friends." her eyes settle on the greenhaired dwarf who seems to be insulting the Tiefling. "If my flirting behavior bothers you, then you must be jealous! Either that or you are also trying to hide ulterior motives." Tisha grinned at the bag handler. "Oh look! He is losing more than he is picking up. Leaving a trail for the other bad guys to follow?" she raised an eyebrow at the loss of some of their goods. The bard caught her attention and she clapped at his song. "That was wonderful! Give us another song...you must be a Bard! Can you do a truth spell and make the killer confess?" she was joking of course. Nearly bedtime for me, but before I go to bed, I wanted to Declare my undying love for the Trump Goblin before the day ended. You've got my vote, little buddy! Let's make this dungeon great again! I agree. As a man of God, or at least gods, I am naturally inclined to vote Republican. Trump Goblin for President! Tisha facepalms, "He has them all bamboozled!!"